Thank you to Spectrum Therapy Center for sponsoring this family fun day! 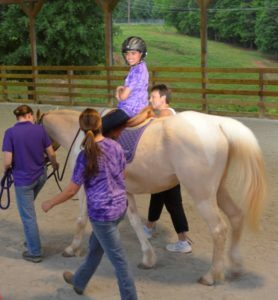 Spectrum will host a picnic and horseback riding demo day at Parkwood Farms Therapy Center, 2519 Parkwood Rd, Snellville, GA 30039. (10:00 am to 1:00 pm) Bounce house, trail rides, horseback rides, story tent and sensory fun activities will be offered along with a family picnic! Thank you to Spectrum Therapy Services for sponsoring this fun family day! Bring chairs and blankets!